Legal advice should be accessible to anyone who needs it no matter their background or income. Our legal system is built on values of fairness and equality, but day in and day out, people cannot access the legal advice and representation they need either because of cuts to Legal Aid, unaffordable legal fees or simply not knowing where to turn. Where advice is available, it is often under severe pressure due to high demand and resource constraints. Information can fall through the gaps and the service can be slow. The result is the client doesn’t get the advice they desperately need within the necessary time frame. Relatively simple issues can quickly become overwhelming and the consequences can wreck lives and families. 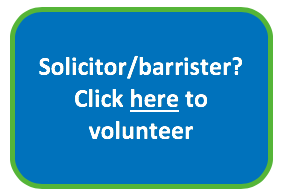 The Jeanie Project is a free service that connects community organisations with local advice infrastructure and with pro bono legal advisers across the country. Through the Jeanie KIM platform, client information is collected in a structured and rigorous way, thereby ensuring critical issues aren’t overlooked. Pro bono legal advisers do not need to waste time travelling to a physical location and have greater flexibility as to when and where they work on a client’s case. This in turn, increases the availability of advisers and speeds up the advice process, with clients no longer having to wait weeks for an appointment. It also means the client deals with one adviser per issue as opposed to different advisers each time they visit an advice clinic for their issue. This reduces the risk of information falling through the gaps and the frustration clients often feel at having to explain their case again with every new adviser. The pilot phase of The Jeanie Project will culminate in Spring 2019. If The Jeanie Project is as successful as we believe it will be, then we can radically change access to legal advice and support in this country through simple-to-use technology. We are hugely excited at this prospect and we look forward to welcoming community groups, local advice organisations and pro bono legal advisers to help us in transforming access to justice!